STEKI unveiled at the China Industry Fair and released new core components for robots! 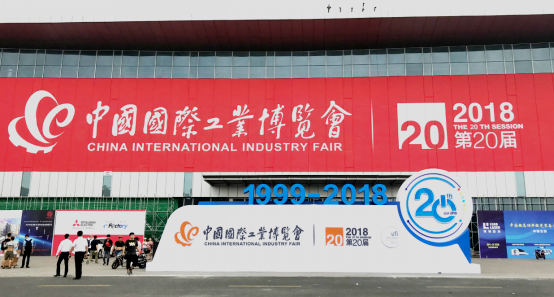 From September 19 to September 23, the 20th China International Industry Fair ("China Industry Fair") was held at the National Exhibition and Convention Center (Shanghai). STEKI booth presents robotic core components for servo motor equipment, providing innovative solutions for industrial customers nationwide. It is understood that the "China Industry Fair" is composed of the Ministry of Industry and Information Technology, the National Development and Reform Commission, the Ministry of Commerce, the Ministry of Science and Technology, the Chinese Academy of Sciences, the Chinese Academy of Engineering, the China Council for the Promotion of International Trade, the United Nations Industrial Development Organization and the Shanghai Municipal Peoples Government, co-organized by the China Machinery Industry Federation, with high-end, intelligent, green manufacturing as the international industrial exhibition to show the main body of the transaction. As one of the most popular and most influential professional exhibitions of China Industry Fair, the Robotics Show-RS is an international event for industrial robots, system integration applications, core components, service robots and special robots that combine display, communication, trade and service. STEKI robot core component servo motor equipment is a thin, high stability, excellent performance brake. A plurality of pressure springs generate braking torque by friction in the event of a power failure, and are released by electromagnetic attraction. The new brakes are specially designed for the servo motor series. They are light, thin, fast and small; they have high rated torque, low operating noise and long operating life. STEKI is an industry-leading clutch brake system supplier that accurately grasps the development trend of the industry, keeps close to the market demand, constantly surpasses and innovates, and cooperates with well-known robot manufacturers at home and abroad to deeply interpret China's intelligent manufacturing, help China's intelligent manufacturing development, and promote robots Industry structure! STEKI's five major businesses are hydraulic brake systems, pneumatic clutch and brake systems, electromagnetic clutches and brakes, magnetic powder clutches and brakes, and tension control and correction control systems.